Have a group of people interested in bicycling but have no idea where to start? One of the most important things to do before purchasing a bike is making sure you know which type of bike is right for you. The next step is making sure it fits you properly as a poorly fitting bike can cause discomfort and pain. Now you have the right type of bike that fits perfectly but while riding you find yourself with a flat tire. We’ll teach you how to repair a punctured inner tube using a patch kit and tire levers. When Is The Next Class Scheduled/How Do I Sign-Up? This is a group class that is scheduled upon request. Contact us if you are interested in having Urban Bike Project teach this class for your group or organization. 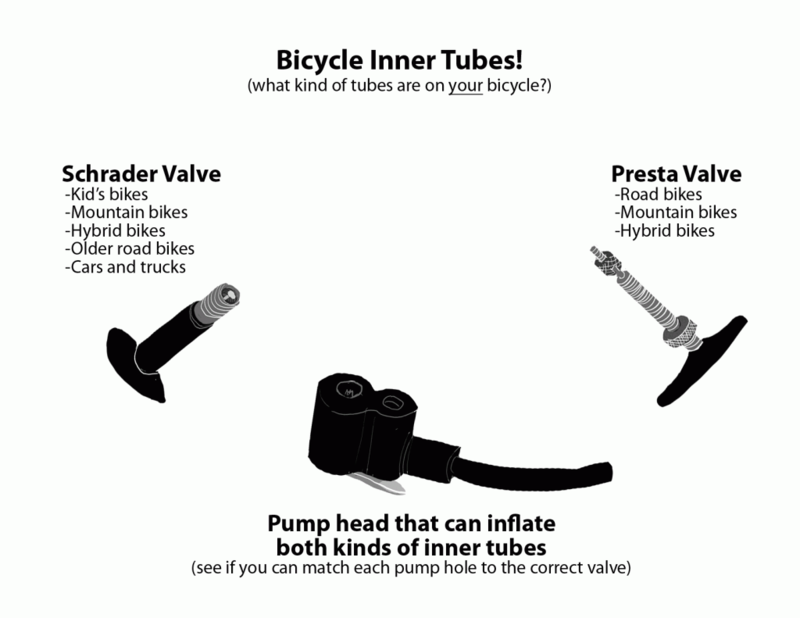 Diagram showing the two kinds of inner tube valves you may encounter. Illustrated by our good friend Todd.